Awesome doctor, was in and out of there and all the staff are very kind and respectable! I highly recommend goingto this doctor!?????? Dr. Dinc completed his residency in Obstetrics- Gynecology and Women's Health at University of Maryland Medical Center. Certified by the American Board of Obstetrics and Gynecology, Dr. Dinc provides a range of gynecologic, obstetrics, and cosmetic services in his practice. 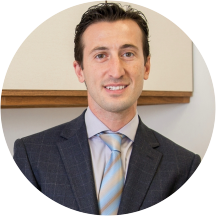 Dr. Dinc is passionate about providing personalized and detail oriented care to his patients with guidance of up to date, evidence based medicine and cutting age technology. His obstetric practice includes management of normal and high risk pregnancies. Dr. Dinc specializes in minimally invasive gynecologic procedures including laparoscopic hysterectomy, minimally invasive surgical treatment of endometriosis, pelvic pain as well as surgical repair of pelvic floor disorders and surgical treatment of incontinence. He also performs broad range of cosmetic procedures in his practice to help his patients look their best including laser liposuction, laser skin rejuvenation/revitalization, fractional skin resurfacing, hair removal, scar revision and laser removal of stretch marks as well as filler treatments. Dr. Dinc has privileges at MedStar Harbor Hospital. He is fluent in English, Spanish and Turkish and is able to serve patients in their native languages. He seemed annoyed by the reason I was visiting, as my concern ended up being an issue to be seen by another specialist. However, I am not a specialist, and although I knew this could be not a gynecological problem, Ipreferred to visit him to discard options. He was rude to me, didn´t care about my concern, and he was unpolite (he told me something like "you can come back when you need an annual check, like a Papanicolaou, because that´s what I do"). Even though I explained the reason I was visiting him first he didn't seem to care, and when he saw that I was upset by his response, he said to me that he doesn't have to assume that I know what he does because he gets patients asking all sorts of questions that are not related to his job. I understand his reasons but I don't think he took the correct approach. He should be kind and try to understand the concerns of his patients, especially when they are worried. I saw Dr Dinc the last time I went in and felt very rushed, but this time I saw a PA and had a great experience with her. Dr Mert Dinc was amazing to me and treated me with such compassion and his office has such a courteous and friendly staff. Loved the fact that his office was able to see me within 2 day's, even as a Newpatient. Highly recommend for anyone looking for a new doctor cause everyone was so inviting and made me feel comfortable. My appointment was for 8am but the office was closed, when someone finally showed up (10mins after 8)she wasn’t the friendliest. I was told the Dr doesn’t come to the office until 8:30. I was really upset because I took offfor this appointment & confirmed it with the office. It’s really unprofessional and rude to waste people time. I should have be notified that my appointment was changed ! Dr. Mert Dinc has the best bedside manner I have ever seen, and I am really not kidding. I am always terrified when I go to my yearly GYN appointments and he is so nice and so patient, and the nursethat is with him is wonderful. Even the front desk staff is great. I do not feel rushed when I talk with him about my concerns, and even after my exam he talks with me and asks me how I am doing and if there are any other health concerns or issues that are going on. This really means so much to me. It was just fine! It was my first visit and like always... many doctors are so intimidating , and make the patient doubting if we need to see doctors or just to wait till we get sick or have a diagnostic. My experience at Womens Health Services was truly outstanding. Dr. Dinc and his staff provided me with the best possible care. The front desk staff makes scheduling a breeze and Dr. Dinc really listens to his patients to provide a levelof service that I have yet to find elsewhere. Knowing I had a doctor who was not only knowledgeable but also kind helped make my twin pregnancy a lot less stressful. If you are looking for an OB that is caring AND accommodating I would highly recommend Womens Health Services. Dr. Dinc is amazing! So amazing that when I switched insurance plans and found out I would have to switch physicians I broke down in tears. That is how much I loved being his patient. He cared for me through myentire first pregnancy and delivered my daughter. I hope he can deliver all my children. He was very nice, understanding and quick. I went in to have my Mirena removed, and got in and out with a new type surprizingly quickly. Dr. Dinc is incredibly kind and soothing, which is an absolute necessity for a gyno! He and his staff have always gone above and beyond to explain everything to me in detail, to ease any worries and answer any questions. Ilove this office, and the ability to schedule online is fantastic. I always get in and out quickly. Dr. Dinc makes a gyno visit as pleasant as it can possibly be! Fast get to the point and with how busy life can be it is very helpful. My appoitment was better than I expected. I went for a surgery consultation and decided that I am going to make him my primary doctor. I always appreciate his concern and unrushed demeanor. he is always so fast and efficient. I just love him and his assistant Brittany, they always make me feel welcome. Dr. Dinc and his staff were very professional and nice. He made me feel very comfortable and is very knowledgeable. I would highly recommend Dr. Dinc. Dr. Dinc is courteous, professional and is very detailed in explaining things. His staff is great too, they make you feel very comfortable and the appointments are scheduled so there is no waiting. I think it's was very good, I liked how the Doctor explained all the details of my condition and was able to diagnose what was the problem, what medicine he prescribed me too and how long I should take the medicinefor. If any problems, he said I could come back to see him. He had a very great attitude and that's what I needed in a doctor. He also had an woman aid with him to be there so it made the pap smear comfortable. I would recommend him ???? This was a follow up appointment post surgery. As always Dr. Dinc was professional and pleasant. Very professional and clean practice. It was the fastest I'd been in and out of a doctor's office. He's thorough and very skilled. He wasn't there today but the staff is always so friendly ..
Great ! Very nice and professional. Clean office and rooms and friendly staff !! When I say that Dr. Dinc saved my and my daughters life, I am not kidding. First, he did a highly dangerous and scary (but necessary) surgery while I was 14 weeks pregnant, and everything went perfectly. I was okay andso was my pregnancy. The second time was when my daughters umbilical cord was wrapped twice around her neck during my induced delivery, and he performed an emergency C-section. Both times I was terrified, and he made me feel like everything would be okay, and I felt safe in his experienced and highly talented hands. I literally cannot say enough positive things about this man. Whenever I was having an issue after hours, even a minor one, he would return my call within a few minutes, or send a prescription to my pharmacy. I recommend him to anyone who needs an OB/GYN. He even sent a floral arrangement to my house after I delivered! I have never encountered a better or more caring doctor, and I work in the medical field and am surrounding my physicians daily. I had to go to Maternal and Fetal Medicine and see a GYN oncologist as well, and he referred me to his colleagues that he trusted. If you need an obstetrician, this is your man. I drove from Parkville to Glen Burnie and Harbor Hospital weekly to see this man, having to pay the toll twice each trip, and I'd do it again during my next pregnancy. I think that dr Dinc was very knowledgeable and he and his aid Britney did a lot to make me feel comfortable and made the process as smooth as possible definitely going to be my doctor from now on I highly recommend them ?? I am a regular patient and I have been pleased with every visit. Very nice service. Very nice office great first visit I'm going to be making my next appointment for my IUD soon. Dr. Mert Dinc was very nice and helped answer my questions on birth control methods and listened to my concerns. The ladies at the front desk however were a little apathetic.